ACTERNA has been selected by Vietnam Posts & Telecommunications Corporation (VNPT) to ensure the installation and maintenance of its SDH backbone network. 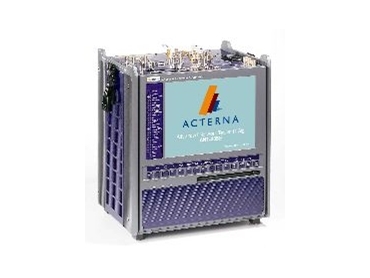 The contract, for multiple Acterna ANT-20 and ANT-10G advanced network testers sold to VNPT and its subsidiaries, is valued at nearly US$1m and includes maintenance equipment for jitter and wander up to 10Gbps. Vietnam is one of the world’s fastest-growing information and communication technologies (ICT) markets, with growth of nearly 16% expected this year. In the period between 2004 and 2008, Vietnam is expected to remain in the top ten in global ICT growth as well as among the top 10 countries in telecommunication growth. To meet the demands of highly accelerated growth and related customer needs, VNPT requires high-performance test instruments for installing and maintaining their SDH networks. VNPT recently upgraded its North-South backbone to DWDM technology at 2.5Gbps, and to maintain the backbone, the nation-wide telecommunications service provider deployed the Acterna ANT-20SE with jitter/wander. In the local loop, VNPT is rolling out 10Gbps networks in Hanoi, Ho Chi Minh City and Danang where the Acterna ANT-10G will perform the commissioning, acceptance and maintenance of these networks.